The Great Southern Stamp Sale: Another stamp sale tease - PSX building stamps! Time to show you another lot of goodies we will have at the stamp sale on 29 September. 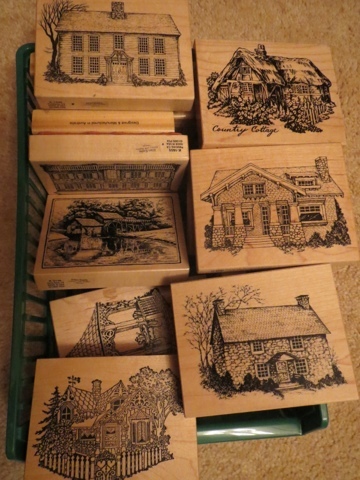 These are classic PSX stamps, an assortment of gorgeous houses! I have just a few of them, and they look fabulous coloured in dignified colours. And another update - Ellen is investigating the possibility of having an EFTPOS machine there, so you can shop a bit more conveniently. No promises, but we'll see if we can manage that.